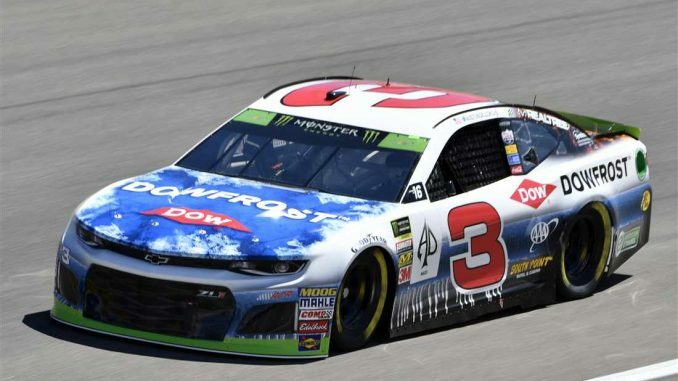 Austin Dillon got his wish—Sunday’s South Point 400 didn’t finish the way it started for the No. 3 Richard Childress Racing team. The reigning Daytona 500 winner was relegated to the rear of the field for the opening green flag because of unapproved adjustments to the body of the Chevrolet. But Dillon persevered, and when attrition took care of more than half the Playoff contenders, he rolled home with an 11th-place finish that left him 10th in the standings heading to Richmond for the second race in the first round of the postseason. Dillon finished behind teammate Ryan Newman in ninth and former teammate Paul Menard in 10th. “Yeah, I’m proud of our guys,” Dillon said. “They brought a really fast race car. We gave up a lot of track position throughout the day, not just from starting in the back, but on pit stops we really struggled. Compared with pole winner Erik Jones, though, Dillon’s turnaround could be described as spectacular good fortune—Jones started first and finished last.